Albert Sands Southworth and Josiah Johnson Hawes, ca. 1850. Amon Carter Museum, 1999. Image: Wikipedia. I probably don’t need to tell you how much I relished this. I hotdog relished it. Me, mysterious? A woman with a sock monkey mascot? A woman who still doesn’t have a new dishwasher? Fabulous! I could understand the perception, though. I blog on the ol’ PG and am not always forthcoming about where I am and what I’m doing, not because I don’t want you to know; in fact, I desperately want you to know. I want you to know where I’m going for Quiltfolk magazine; I want you to know where the next Quiltfolk pattern is coming from; I want you to know about this other quilt-world project I have going that I can’t talk about, yet, but which is major. But I can’t tell you everything because there is an order to things. I didn’t make the order. I make the content, the world makes the order. So, I tell you things as I can and hope you’ll stay until everything becomes clear. I have come to upstate New York. I am near Syracuse. I have come here for a solid week to research and gather information from one of the most important living players in American quilt history. The reason we have set aside an entire a week is because a) I have a full-time job as editor in chief of a magazine and have many responsibilities from day to day which require my attention; b) it’s summer and everyone/everything is slow; and c) there’s so much to dive into with this person, we really need a year, not a week. 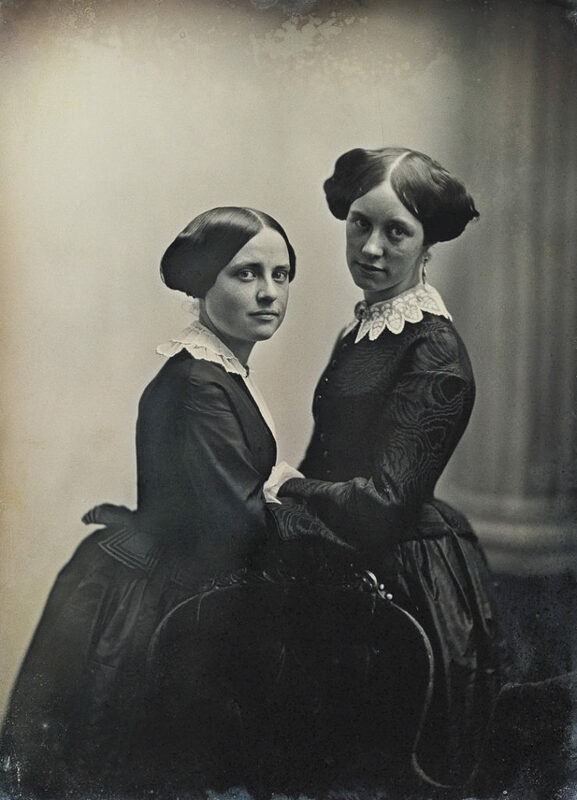 I have been going through hundreds and hundreds of photographs, tin types, daguerrotypes, prints, and photos, all of which feature people and their quilts. That’s what this person has, among many other objects: He has photographs of people and quilts, starting in 1850, when photography became “a thing,” to around 1950. I’ve cried several times. I gasped, looking through the stacks, the boxes, the treasure. Put another way, I spent a day looking at humanity in photographs and stereoscope images and what I can tell you is that nothing has changed. We are the same. Humans are the same today as we ever were. Sure, we have laptops now. We have polymers. We have the internet. We have blenders and vaccines but we also still have quilts. We still have families, cats, and dogs. Illness and death come to everyone and always has. Some of us have always mugged for the camera. There’s always been a person who blinked in a picture. We didn’t invent selfies in the 21st century; there are just more of them now and we can take them faster. Being human is complicated, but today, I don’t think it’s so mysterious. 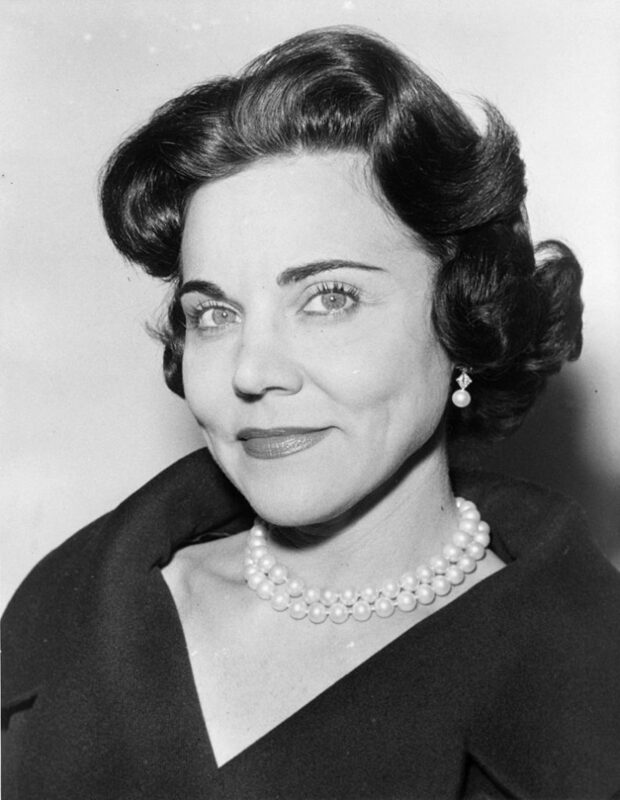 Esther Pauline Friedman Lederer, better known as Ann Landers, in 1961. Photo: Wikipedia. I have decided that this blog should become an advice column — but not the normal kind where people write to the columnist for advice. No, this blog ought to be an advice column where I bring you my problems and quandaries and you give me advice! It already happens so often! Anytime I ask for it, I get great advice! Honestly, don’t you think that’s a fun idea? An “advice column” where the columnist is the one asking for the advice? Hilarious! It was pretty close between Orwell and Tartt, but I think it’s okay for me to start with the shorter work before I dive into the really long one. Henry James was definitely in third place, and David Foster Wallace and Hemingway were neck and neck bringing up the caboose, but I decided to let Hemingway come in last. He so often comes in first, doesn’t he? He’ll be okay. Once I’m finished with Orwell, I’ll bring you my book report. It’s interesting timing: I’ve been thinking about deleting my Facebook account. I was going to bring you the case and — wait for it — ask you for your advice. Reading 1984 with that in mind, that idea about deleting Facebook, will be most interesting. *I’m not on a tuffet. I just needed to create a visual of some haughty Advice Columnist who thinks she knows everything and putting her on a tuffet seemed right. Ken Burns and Lynn Novick Approacheth: ‘Vietnam’ Airs Next Month on PBS. Vietnam Women’s Memorial, Washington, D.C., Veteran’s Day, 2013. Photo: Wikipedia. If you have never plopped down on the chaise lounge or settee of your choice and watched a Ken Burns-Lynn Novick documentary, I hereby give you the rest of the summer to watch as many/as much of them as you can. Long before I got sucked into House of Cards (blame Claus) and way before I broke into a three-week-long Breaking Bad flop sweat, the only other time in my life I ever binge-watch television is when I have a Ken Burns/Lynn Novick documentary burning a hole in my tote bag. You see, I use a tote bag when I go up to my local library to get books and DVDs. Nerd. Alert. The first film that made me do it? Ken Burns’s The Civil War. If you don’t believe a 10-hour historical documentary from 1990 could possibly be as gripping as the lastest Netflix click-bait series, you haven’t seen The Civil War. It’s one of the most exceptional documentaries ever put to film and, I think, one of the most exceptional films ever made, period. The scope of the project, the genius editing, the way the director brought the material out of myth and into reality to show how that the truth, the facts, are far more agonizing and beautiful and surprising than the myths could ever be — oh, The Civil War just a masterpiece! And all the Burns-Novick films are like that, they really are. (The whole team has won Oscars, Emmys, Nobel Prizes — I think? — and on and on, so you don’t have to take my word for it.) From Baseball to The Roosevelts to Jazz to The Central Park Five and all the dozens of others coming out of Florentine Films, these documentaries tell the story of this nation. I, for one, am interested in all of it. This is all coming up because I was doing some research and realized that the next Burns-Novick doc — which I have literally heard about for years — is finally dropping on September 17, 2017 on PBS stations nationwide. That’s just over a month from now! The topic and the title of the film? This picture has been 10 years in the making. Ten years. Guess how long it is? Eighteen hours. Eighteen! I can’t wait, though saying “I can’t wait to watch the events surrounding one of the most painful times in my country’s history” sounds wrong. But I know I’ll learn so much, that I’ll cry, that my faith in humanity will be reaffirmed. Burns said in an interview that war brings out the worst in people, but that it strangely reveals the best, too. Check your local listings. All the early reviews say it might be his best film yet. Oh, and become a member of your local PBS station! I’m a member of Iowa Public Television and the WTTW affiliate here in Chicago. When I donate to PBS, I really do help cool quilting shows (heh) and docs like Vietnam get made. My Little ‘Breaking Bad’ Problem. From L-R: My true love of all time, Jesse Pinkman, and…the other guy. Screenshot: Me, gladly. Remember a few months back when I talked about House of Cards? I shared how much I liked that show, how excited I was for the new season. Remember that? Sure. I remember that, too. Hey, then do you remember how I swore I would never, ever, ever use this blog to talk about television because heaven help us the world is big and beautiful and full of so many three-dimensional, extra-legit things to do and see and look at and we have bodies! Do you remember how I said we have bodies and we’re so lucky to have them and we should use them?? We should use them to leap and shake like the Quakers (or milkshakes, whatever) and spin and at least get off the couch and not watch television for hours and hours, supine, on the couch?? Do you remember that? Well, unless you know how hard it is to stop watching Breaking Bad once you’ve started, once you’ve really started in earnest and fallen irretrievably in love with fictional people who make terrible, terrible decisions, endlessly, with a soundtrack playing in the background and comic relief going for it. 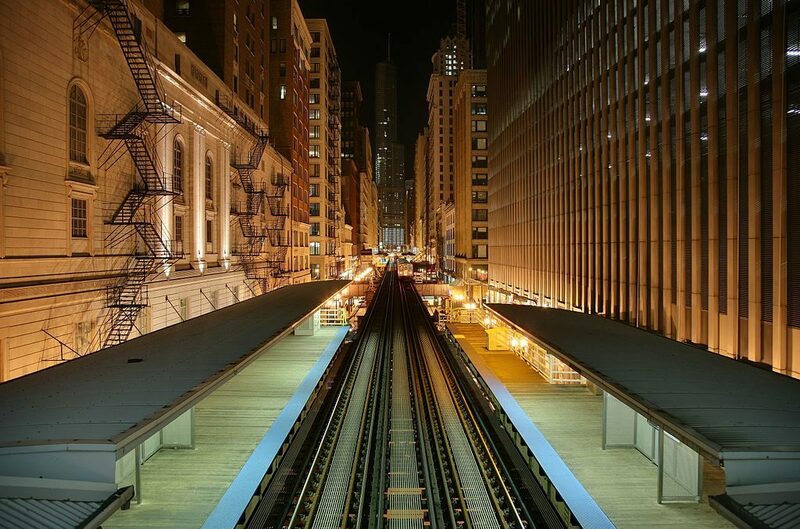 Stopping that train once it’s pulled out of that station? Forget it. Yes, I did what many people told me for years to do: watch Breaking Bad. Ugh. It began… Honestly, I can’t remember. A couple weeks ago? It’s a blur. I said it’s a blur! Stop asking so many questions! Seriously, though: I was feeling soggy and blue, uninspired and feverish. I had no will. Would it last? Surely it wouldn’t, I told myself. But in the meantime, while I wasn’t doing much more than languishing, listless and pale — but somehow still beguiling — on the couch, why not take in a little Netflix? A lot of Netflix. Who would know? It’s not like ever said in black and white in front of thousands of people that I had some moral objection to TV, thank goodness. Anyway, this show has to end. I’m in Season 5, the last season. I cannot wait for it to be done because it is just too good. I’m not reading or writing. I’m not “going for a jog.” I’m not doing charity work and — horror — I’m not at the sewing machine. I’m just… Embroiled. Bewitched. Chained to a show that features such fine acting and writing, it’s criminal. Which is funny, except my life does not think it’s funny. My life wants my life back. Also, it does not help that I am in love with the character of Jesse Pinkman and yes, I’m about six years too late and yes, he’s not real, but all he needs is the love of a good woman, okay? And I am that woman! What, you think I can’t be fictional?? You think I can’t have real love for a scripted person in a show that ended five years ago?? It’s a good thing I don’t write about TV shows on this blog, right? Impossible. The National Library of France in Paris. There wasn’t an image of the library where I was and besides, this photo is proof of heaven itself, as long as I can read French in heaven, which I imagine could be arranged.) Image: Wikipedia. So you can imagine the shock when I heard a very loud “knock-knock-knock!” It was a pronounced rapping on a wooden door: “Knock-knock-knock!” The library’s main reading room is a rotunda with storage spaces off its main floor and inside the round room are bays and stacks and shelves. You can’t really get lost in there but there are alcoves. There are nooks. What I’m trying to say is that I couldn’t where the knock was coming from. I looked up when it happened. The gal at the next table over looked up. The squinchy library aide looked up and looked annoyed. No one came in or out, though, and there was no sound of a door opening or closing. But whatever. We all went back to our researching or our homework or our squinching. The gal and I looked at each other. Where was the knock coming from? I whispered, “That’s a knock, right? Someone is knocking.” She nodded and looked about. I got up and peered around our immediate vicinity and into the alcoves nearby. I spied an elevator; I hadn’t noticed it before. Maybe someone couldn’t get out of the elevator! I went over to it and pushed the button. But when the doors opened, the elevator was empty. I decided the knocking was definitely the work of a library ghost. Hey, there was a library ghost in Ghostbusters. It happens all the time, people. And the moment I thought about there being a real-life (-death) library ghost, my brain went into Edgar Allen Poe mode, dreaming up storms and candles blowing out in the wind, of doomed lovers who die writing poetry in the library and haunt it forever. I imagined a gloomy scholar trapped in the stacks! It just came out that way. I told you: I was in Poe Mode! The girl looked at me like, “Ooo-kay. Let’s not pursue small talk.” But she didn’t have to worry; I had a lot of research to do and I needed to be available for the ghost if he needed anything. My Little ‘House Of Cards’ Problem. HERE WE GO. Image: Wikipedia. Yes, but I just don’t see many movies and I don’t have a television. And though I definitely consume visual media, it’s not super mainstream media most of the time. I love to watch documentaries. I very much enjoy watching lectures and educational content on YouTube while I sew. Oh, and I’ve seen every episode of The Great British Bakeoff at least twice. But the big shows like Game of Thrones, Scandal, or [insert show here], I just sort of don’t get sucked into that stuff. Except. Except for this one dark, gripping, tension-filled, beautifully rendered, twisty-turny, Shakespearean blinkin’ show called… House of Cards. Mercy, that show is good. Yeah, no kidding. Murder, treachery, mutiny, little lies, big lies, enormous lies — the characters in House of Cards are more dastardly and dirty than the meanest Blackbeard-ian pirates that ever sailed the high seas. But they’re fascinating. I don’t know when I’ve ever been more into a television program than House of Cards. Kevin Spacey is irresistibly wicked. Robin Wright is terrifying and beautiful. I’m in love with the character of Doug Stamper, which, if you know the show, is super weird. But what can I do? He’s so wrong, he’s right. The reason I’m bringing this up now is that Washington, we have a problem: Season 5 is starting at the end of this month. This means I am about to be obsessed with watching a television show again and I was enjoying not having to deal with that, honestly. It’s kind of stressful. You see, I started watching the House of Cards when there were nearly four seasons already made and available to stream on Netflix, so I started at the beginning and watched episode after episode after episode until there were no episodes left to watch. I watched that show like it was my job. I’d start in the evening and I would watch it until 2:00 a.m., then dream about the show when I fell asleep! It was crazy. Now, since I’m caught up, I have to see the show and then wait?? For an entire week?? Rebecca, this is why I don’t do this kind of thing. But if you want to get caught up on House of Cards, I would love to come over to your place and watch it together. We can eat popcorn and watch the pirates run amok! “Square In a Square” quilt, c. 1880. Probably Pennsylvania. Image: Wikipedia, courtesy Los Angeles County Museum of Art. Yesterday, I introduced the great book I found in a used bookshop. I promised to include an excerpt from the chapter on quilting and I kind of didn’t know what I was getting myself into. The chapter on the “Old-Time Quilt” is really good. It’s so good that I tried to pare down the excerpt I selected but really could not force myself to cut out a single line! So I was typing for some minutes and you’ll be reading for some minutes, but I wouldn’t have kept typing or suggest you keep reading if I didn’t think it was worth it. Here’s some of what Ella Shannon Bowles had to say about quilts back in the day. Remember, she was writing in the 1930s about “old-time” quilts in the “pioneer days.” I would go back to the text and pin down the exact years/timespans she’s talking about but I am very tired and still have homework. Let’s just call it “the nineteenth century” and call it good enough. Enjoy. And may you all have full snuff boxes (!) and a “jolly feeling” all week. “House-keeping was the goal of every girl’s ambition and her “setting out” was planned for years. When she had assembled a number of quilt-tops, a quilting was held. To it were invited every woman and girl for miles around. Usually the housewife planned to get the quilting out of the way before haying. The quilting-frolics, with their accompaniments of good cheer and jolly feeling, had an important social significance. Before the guests assembled, the quilting-frames were brought in from the loom-shed. They were long pieces of wood, held together with wooden pegs thrust through gimlet-holes to form a rectangular frame large enough to hold the quilt. The frames were wound with flannel, serving as a foundation for sewing the quilt in place. First, the frames were placed upon the floor and the lining sewn in and pats of wool laid evenly upon it. Then the frames were carefully lifted to the tops of four kitchen chairs, and placed under each corner at such a height as would be most convenient for the workers. Then the patch-work top was laid across the wool-pats and pinned evenly all around the edge. Skeins of blue and white linen thread, braided to prevent snarling, a spool of red thread from the store, a needle-book, wax, and scissors were arranged on a table for the convenience of the quilters. As early as one o’clock in the afternoon the guests began to arrive. The quilt-pattern was duly admired and then the consideration of the stitches to be used in the quilting was taken up. “Cat-a-cornered” and herring-bone stitch were favorites in rural parts of New Hampshire, though the pine-tree was liked by expert needlewomen. The women who could not gather about the quilt knit or worked on their own sewing. Tongues chattered as fingers flew and soon the quilt was ready to be rolled over the frames as far as finished. During this interval snuff-boxes were passed and then the guests who had not quilted drew up to the frames. When the last row of quilting was reached, the married women left the frames and, with jokes and rippling laughter, the girls began a contest to see who should set the last stitch. The damsel lucky enough to do this would be the first to take a husband! The book! Scanned by me. I found a gem today. There’s a neat bookstore called Selected Works in the Fine Arts Building on Michigan Avenue, halfway between home and school. (I’ll talk more about the Fine Arts Building another time; that gorgeous building needs its own post!) My friend Justin said that all the books at Selected Works are half off right now, so after we were done at the newspaper office, Justin, Sophie, and I made our way over to check the stacks. In the craft and home decor section, I found a copy of Shared Threads: Quilting Together — Past and Present by Jacqueline Marx Atkins, a title I definitely needed for my quilt book library. It seemed Atkins’s book was the only quilt-related selection on the shelves but then I spied a sweet-looking, tattered little volume called Homespun Handicrafts. As I lifted the other books out of the way to get at it, I thought, “I’ll bet that book is pretty old. 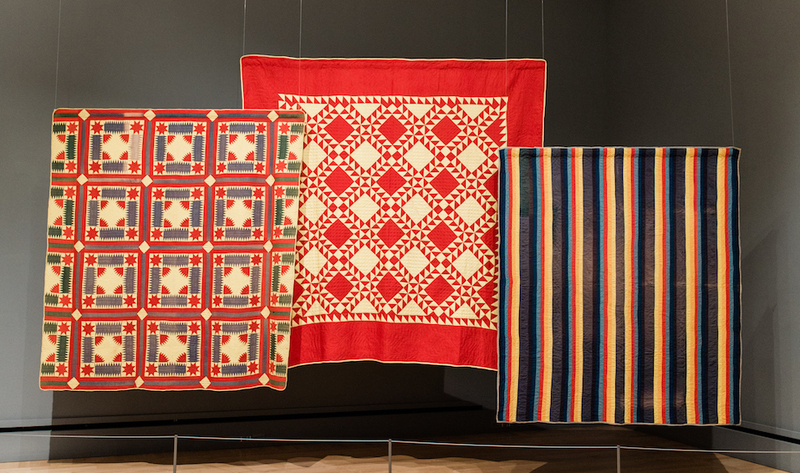 And I’ll bet there’s a chapter on quilts.” I was right on both counts: The book, written by Ms. Ella Shannon Bowles, was published in 1930 — and there is a terrific chapter on quilts. 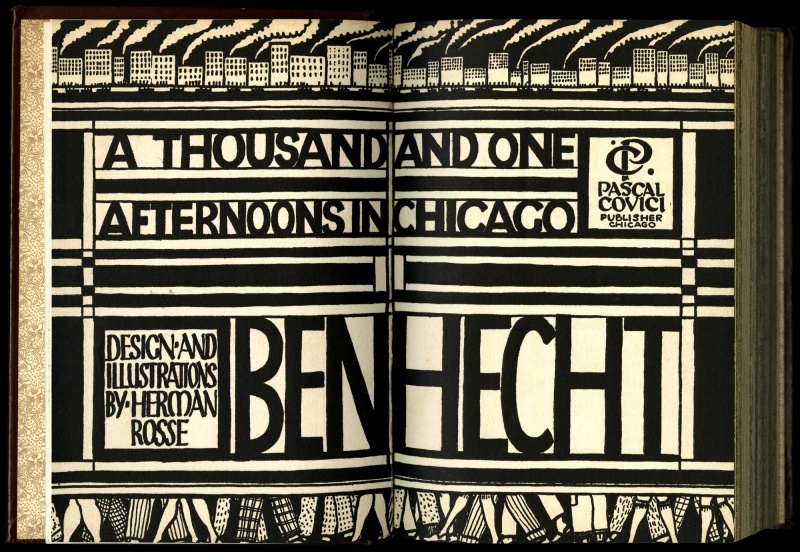 Isn’t it great to find new old books? Isn’t it cool to go to a used bookstore and find something that you never, ever would’ve known to look for in a library but is exactly what you needed to find? The study of old-time American handicrafts is a trail winding on and on into delightful bypaths and unexpected turnings. It is difficult for an enthusiast to cease telling the stories connected with these homely arts of our ancestors, so I have limited myself to describing those crafts in the development of which women have played an important part. It is my earnest wish that this book may serve not only as a guide to the old-time arts, but that it may stimulate the reader to understake the serious study of the development of the crafts of our foremothers as have such workers as Mrs. Atwater, Mrs. Sawyer, and Mrs. Taylor. Someday, I will talk about my all-time favorite movie ever, on Earth, ever, ever — which would be Tootsie — but not tonight. Tonight, I need to talk about Baby Boom. J.C. Wiatt is like, “Are you crazy?! I’m a high-powered executive! I can’t have a baby!” and she tries to get rid of Elizabeth but guess what? J.C. Wiatt becomes attached to the lil’ peanut and can’t bring herself to give Elizabeth back. J.C. is forced to admit that she kind of hates her hectic life and her lame boyfriend and so she gets out of the game and moves herself and Elizabeth into a dream home in rural Vermont where she meets a hot, hot, hot veterinarian, played by Sam Shepard, and I’m not waiting to talk about him. Sam Shepard (the actor/playwright/mystical creature) is so incredibly handsome and charming in this movie, you will literally stomp your foot and slap your leg and go, “Oh, come on! !” because he is just ridiculous. Anyway, J.C. goes stir-crazy out there in rural Vermont (she’s a high-powered executive!) and her house nearly bankrupts her because it’s a lemon. Besides, it turns out she misses the hustle n’ bustle of New York. At some point during the interminable winter, J.C. starts making homemade baby food for Elizabeth. Soon, she’s selling it in farmer’s markets and country stores around New England and before you know it, J.C. Wiatt’s got a tiger by the tail! Country Baby gourmet baby food is a hit! She’s back in the game! Will she leave Vermont, the house, her new friends, and the hot, hot, hot veterinarian and sell Country Baby for millions? Will she move back to New York City with Elizabeth and raise her daughter in the most exciting place on the planet or stay in the slow lane? You’ll have to watch the movie to find out. So now let me tell you something fabulous that I just discovered, unless you’re already clicking over to rent the movie on Amazon, a decision I fully support. Just come back when you’re done. Check this out: Baby Boom was made in 1987. It was directed by Charles Shyer. It was written by Charles Shyer and Nancy Meyer. Guess what other brilliant Goldie Hawn movie my family loves as much as Overboard? Why, Private Benjamin, of course. Well, guess who wrote Private Benjamin?? Nancy Meyer and Charles Shyer!! And Shyer directed it, too! And it came out the same year as Baby Boom! It feels great to be so consistent. It’s like, “Oh, no wonder I like this thing. It’s exactly like this other thing!” I love it when that happens. So there are many reasons why Baby Boom is so good: comedic timing, pathos communicated without schlock, and swift pacing all come to mind. But most of all, I love that movie because of the character of J.C. Wiatt, the way Diane Keaton plays her, and — wait for it — J.C. Wiatt’s clothes. The 1980s are not often given credit for being a fashionable decade. It’s generally understood that the 1970s were worse, which is something, I guess, but people think of the 1980s and they think of neon, shoulder pads, big hair, and acid-washed jeans. But this is so not all the 1980s were in terms of clothes! The clothes look great on Keaton because Keaton is gorgeous (she was 41 when she made that movie, by the way) and because J.C. Wiatt is a great character. She’s a woman who wants it all — and wanting it all is complicated. She’s got a big heart and big ambitions.She’s conflicted, but she’s trying her best. She’s smart. She’s funny. When I watch that movie, I find myself wanting to either be Diane Keaton and/or J.C. Wiatt, be best friends with Diane Keaton/J.C. Wiatt, have Diane Keaton and/or J.C. Wiatt suddenly be my other mother, and also be like Diane Keaton and/or J.C. Wiatt when I grow up. And then there’s Sam Shepard in the mix, so watching Baby Boom is an intense experience. Tonight, Baby Boom, I salute you. You really have had a huge impact on me and my sisters. We look up to you and we appreciate you. Also, J.C. Wiatt has a quilt hanging in her dining room, so that pretty much seals the deal.